Less than 12 hours ago, I became a father and a whole new chapter of my life began. Let me walk you through the most amazing 24 hours in my life. It began on Saturday afternoon as Pei Chyi and I went for our scheduled checkup with the obgyn. Pei Chyi was almost 39 weeks pregnant and we were eager for the arrival of Zachary, our little baby boy. Unfortunately, after an internal exam, doctor said that Pei Chyi’s cervix wasn’t dilated at all. After some tests, we left the hospital feeling disappointed that we had to wait yet another week before Muffin (Zachary’s nickname) arrived. We waited an hour to verify that Pei Chyi was really leaking amniotic fluid, and decided to go back to the hospital to be sure. She was put into the delivery room and ran more tests while waiting for the doctor to arrive. Doctor finally arrived at 9pm, and did another internal exam. This time he felt a slight dilation, and he stretched the cervix to encourage the labour process to begin. Pei Chyi was formally admitted and we had to wait for the labour to progress. By about 12am Sunday, she started feeling contractions. They grew progressively more painful and she decided to take an (anesthetic) epidural by 3am. We figured that it would help her sleep and shore up her energy reserves for when she needed to push. At 5am, the nurses started to administer pitocin, a drug that induces labour. Doctor came in at 8am to check on Pei Chyi’s progress. To his surprise, she was now 9cm dilated! Immediately, doctor said to prep for delivery. The nurses went to work and laid out all the forceps, equipment and the doctor’s yellow galoshes and the big plastic apron. Pei Chyi started pushing at about 9.30am. There were 4 nurses in the room, all acting as cheerleaders and encouraging Pei Chyi to push during contractions. She says I was the head cheerleader – I was just doing my best to encourage and support her. By about 10am, baby still wasn’t descending through the birth canal, prompting doctor to worry that baby may be in distress. He ordered the Operating Theatre to prepare for an emergency Caesarean section. We really wanted to avoid that, so Pei Chyi rallied and pushed even harder. That did the trick a little, because doctor was able to use the vacuum to pull baby out with the additional effort from Pei Chyi. 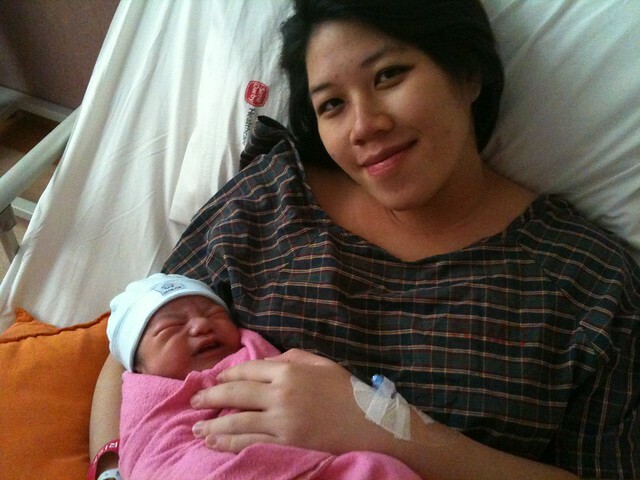 And so, at 10.21am, Sunday 28 March 2010, our son Zachary Wang was born into the world. The poor fella had the suction cup mark on his head, but was otherwise in healthy condition. He is 3.5kg and 49cm long – yep, he’s a big boy. Pei Chyi had to be stitched up so I got to know my son. 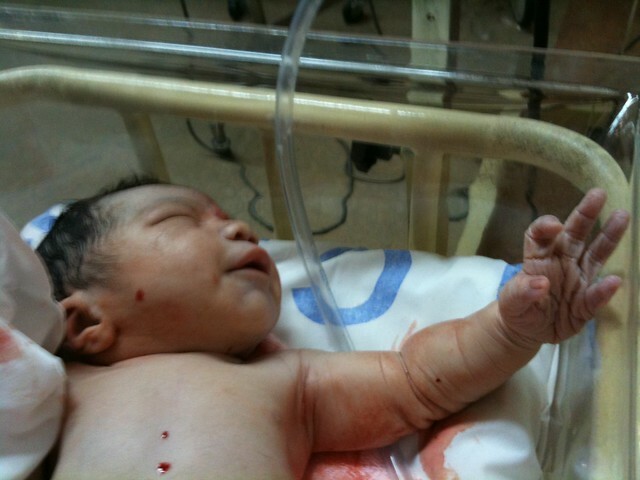 Even though he was all wrinkly and still had after-birth on him, he was the most beautiful thing I had ever seen. I was so, so excited to see him finally. Once doctor had finished with Pei Chyi, we tried breast feeding him a little, and boy he was hungry. After that Zachary had to be sent to the Nursery to get cleaned up and for observation. Pei Chyi was transferred to the postnatal ward at about 12pm. Both Pei Chyi and Zachary are doing well. We’re all a little worn out from the excitement and all the visiting relatives. However we managed to spend some quality time with our son and we’re just so in love with him. We thank God for His protection and for a safe delivery. Thank you also to everyone who’s supported us and wished us well. We’re so excited to begin this new chapter in our lives. 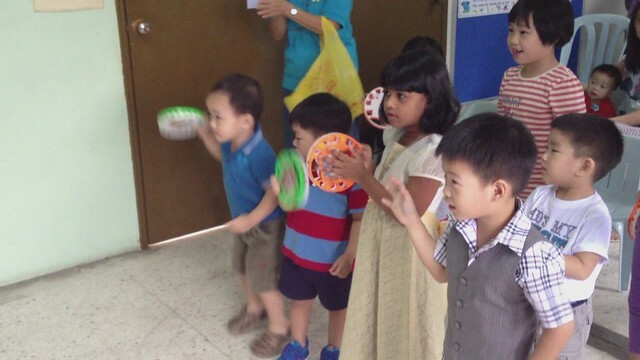 Update: Pei Chyi has posted her own account – My son, Zachary.